The Bosch Group is a leading global supplier of technology and services. Its operations are divided into four business sectors: Mobility Solutions, Industrial Technology, Consumer Goods, and Energy and Building Technology. Bosch improves quality of life worldwide with products and services that are innovative and spark enthusiasm. In short, Bosch creates technology that is “Invented for life.” The first Bosch sales office in Asia opened in Shanghai in 1909. Today, all four Bosch business sectors are present in China: Mobility Solutions, Industrial Technology, Consumer Goods, and Energy and Building Technology. In China, the Bosch Group manufactures and markets automotive original equipment and aftermarket products, industrial drive and control technology, packaging technology, power tools, household appliances, service solutions, security and communication systems, and thermotechnology. The Bosch Group employed some 66,461 associates in China, the largest Bosch workforce outside Germany. 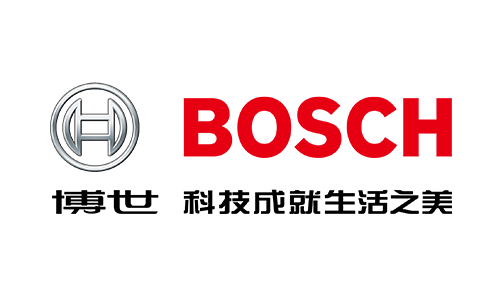 China is also Bosch's second largest market worldwide.